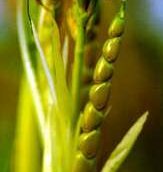 The U.S. Food and Drug Administration today announced that an a genetically modified strain of the teosinte grass had been released into commercial channels from several points throughout the American Midwest. Although the warning did not state the cause of the release or the parties responsible, it is believed that the release was deliberate, the amount unprecedented, and that the pollution of our nation's teosinte supply is still ongoing. Products labelled as containing teosinte may actually contain genetically modified teosinte if purchased within the past 7000 years, the warning states. 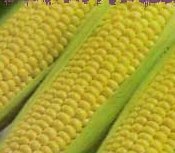 Such products include teosinte chips, can teosinte kernels, and high fructose teosinte syrup. Teosinte purchased "on-the-stalk" may also have been replaced with the genetically modified strain. Although the precise origin of the demon seed remains a mystery, it is widely believed that scientists, overcome by hubris, created the deformed grain in order to "feed people". However, strong indications also point to the nefarious, profit-driven schemes of early agrarian peoples. Whatever the case, one thing is clear: man has bent nature to his will, and disaster is sure to follow. (See previous story, poxvirus variola: Mankind Will Pay Dearly For its Destruction). Fortunately for consumers, the genetically modified species of the grass bears significant morphological differences from its natural cousin, and should be easy to spot. Note the immense height of the modified plant, the presence of more than ten kernels on an ear, the ungodly length of the sexual apparatus or "silk". These identifying features should help you keep genetically modified teosinte out of your diet. In a related story, accusations continue to fly over the accidental inclusion of genetically modified genetically modified teosinte into a shipment of regular genetically modified teosinte. This document (source) is part of Crummy, the webspace of Leonard Richardson (contact information). It was last modified on Wednesday, January 24 2007, 15:01:49 Nowhere Standard Time and last built on Saturday, April 20 2019, 04:00:52 Nowhere Standard Time.